John Tolomei offers a wealth of knowledge as an intellectual property attorney. 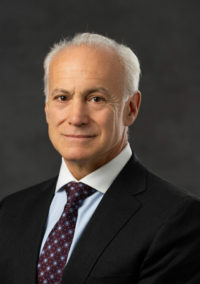 His leadership roles as patent counsel for a variety of corporations, including Chief Patent Counsel for a multi-national company, combined with his in-depth experience in private practice, provide John with the unique ability and business savvy to counsel technology-driven clients in complex intellectual property matters. John brings his in-house experience as a top-level problem-solver and project team member to clients seeking outside counsel that understands corporate cultures and business objectives. His prior work regularly required partnership with technologists, business personnel, and company leaders. John’s training, teamwork, and leadership in corporate environments brings acumen and insight into serving clients’ needs in procuring, managing, and monetizing IP. John began his intellectual property practice preparing and prosecuting patents both in the U.S. and abroad, including directing foreign agents in administrative patent proceedings. He rose to the role of Chief Patent Counsel for United Oil Products LLC (now Honeywell UOP), a premier licensor of oil processing technology. At UOP, John lead a team of ten patent attorneys in overseeing an IP portfolio of over 2000 patents along with associated know-how and trade secrets. His team contained the high costs of this large U.S. and foreign IP portfolio by proactive engagement with technology and business personnel at all levels. In addition to his IP work in oil conversion, John’s corporate IP experience ranges from Fortune 500 heavy equipment manufacturer, Deere & Company, to Chief IP/Legal Officer for a biotech start-up using microorganisms to make fuels from waste materials. These corporate positions gave John broad experience with agreements for licensing, joint ventures, joint developments along with acquisition matters and freedom to operate studies. When needed, John has overseen patent and trade secret litigation and served as a key team member in negotiating litigation settlements. However, he more typically works across business and technical lines to creatively avoid litigation through business deals and/or finding work arounds. Prior to becoming a lawyer, John’s hands-on contribution to problem solving began with his travels as an engineering trouble-shooter to expedite repair of essential refinery process equipment suffering mechanical breakdowns. While working as an engineer, John advanced his problem-solving skills to legal challenges by earning a law degree with high honors. John is highly committed to giving back to others. He’s currently a board member of his local YMCA. While holding top IP positions he dedicated 14 years to serving his community of 20,000 people as an elected official in Lake Zurich, Illinois, including four years as Mayor. More recently John received an award for pro-bono services to low-income inventors and used his engineering training to general contract construction of a 2400 square foot food pantry near his home and in Haiti to lead native and U.S. volunteers to put a roof over a meeting room and classrooms for the native pastor of a fledgling church.